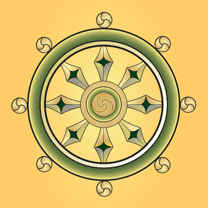 This site is an archive of Dharma talks given by Gil Fronsdal, Andrea Fella and various guest speakers at the Insight Retreat Center in Santa Cruz, CA. Each talk illuminates aspects of the Buddha's teachings. The purpose is the same that the Buddha had for his teachings, to guide us toward the end of suffering and the attainment of freedom. These talks are freely available to download or listen to. Please help support this service with a tax-deductible donation.